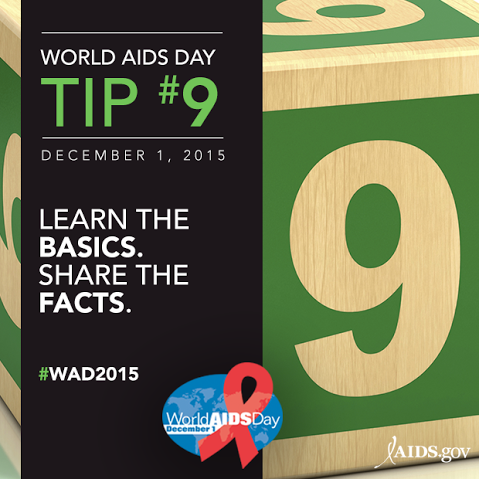 Today, HIV.gov offers 10 tips to support your involvement in World AIDS Day 2015. We hope these images provide you with resources and ideas that inspire you to act. 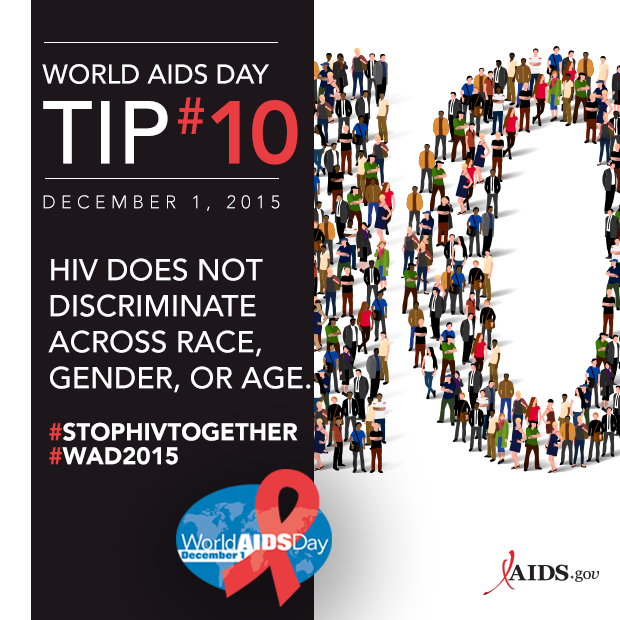 Be a part of the global commitment to end HIV. Check out our World AIDS Day Awareness Day page conversation with us via Twitter , Facebook , Instagram , Pinterest , and You Tube . 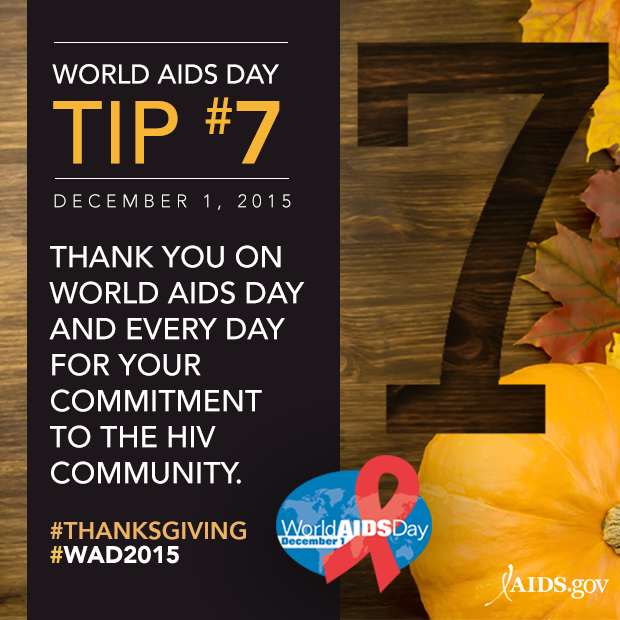 Tip # 7: Thank you on World AIDS Day and everyday for your commitment to the ‪#‎HIV‬ community. 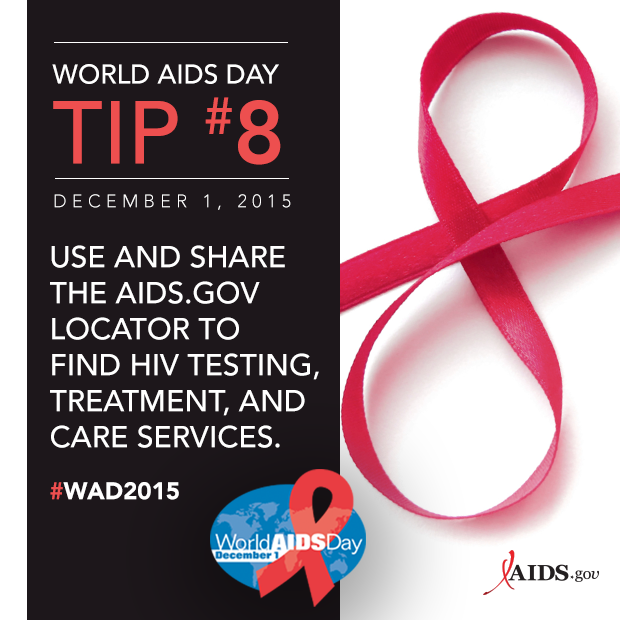 Tip # 8: The HIV.gov Locator find ‪#‎HIV‬ testing, treatment and care services near you. 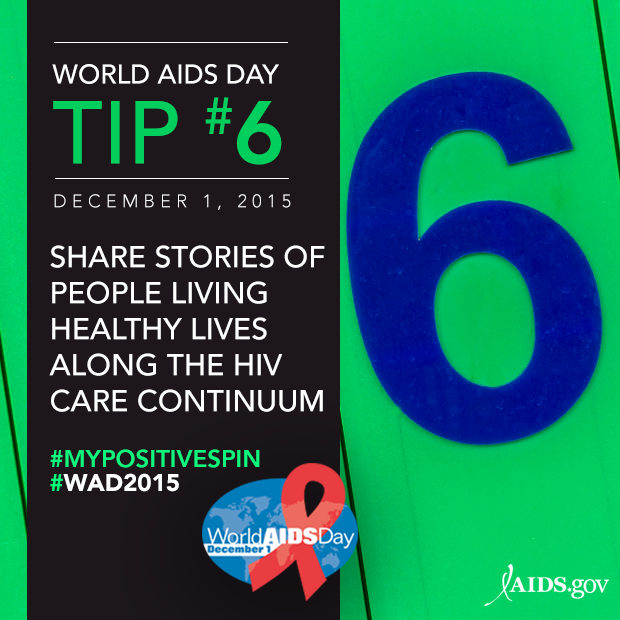 Get the tips and more on HIV.govâs World AIDS Day graphics page.